Gold and glitter do not only belong to Christmas and New Year. For both vintage weddings and weddings with a 1920's theme, we often see these details both on the table and in the choice of clothing. The creators behind this inspirational shoot, photographed by K-Ruiz Photography, were inspired by Gatsby and the 1920's glamour when they put together this scene. 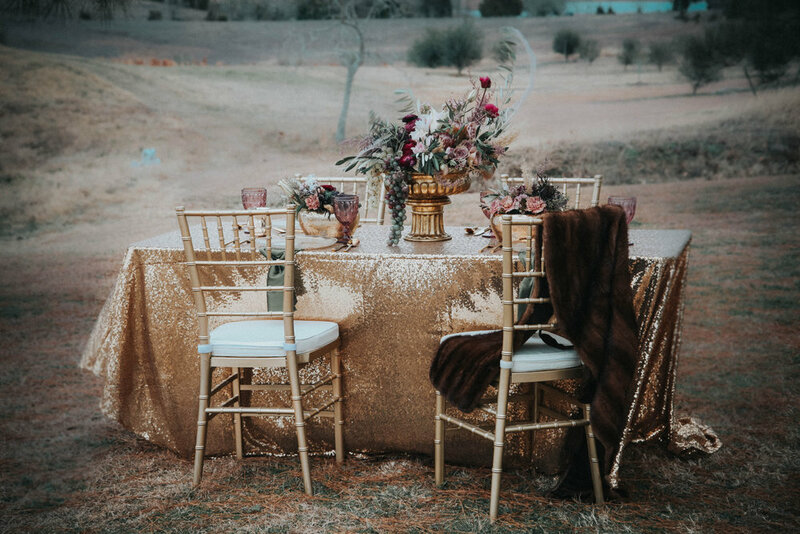 With gold, glitter and lots of flowers they inspire to a modern Gatsby wedding. We love it! Do you?